Oxalis corniculata, or Creeping Woodsorrel is a common plant in pots over here. It seems to prefer making itself at home in potting mix at our place. A lot of folks don’t like it because ‘it’s a weed! ‘ but it’s not to me, it’s a tasty snack. 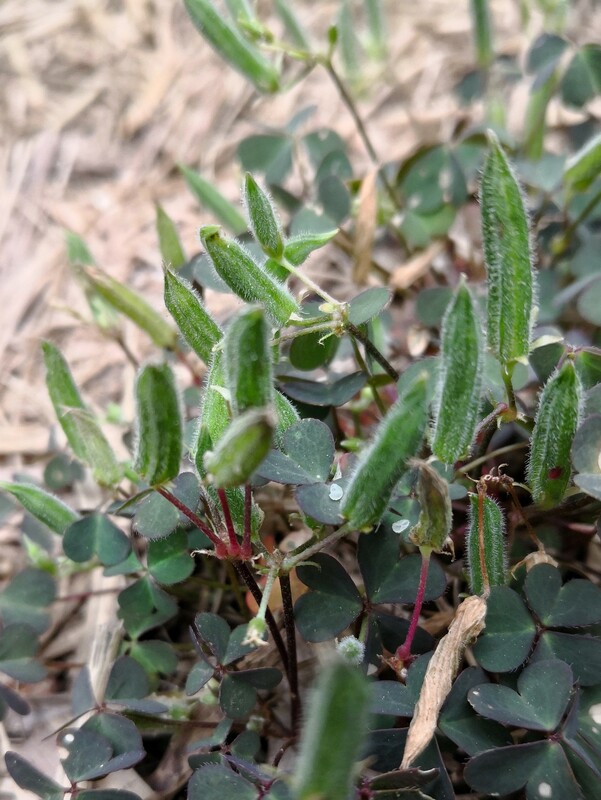 It’s an Oxalis, so contains Oxalic Acid which gives it a bit of a bite. 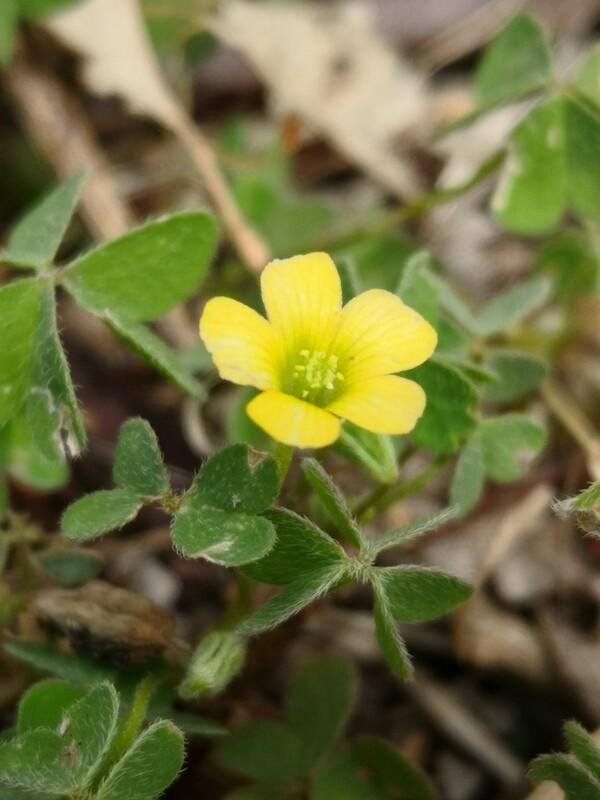 It’s not as strong a taste as other relatives in the Oxalis genus such as Soursobs but then again, everything about it is smaller and more delicate. My favourite part is the green seed pods which, at 1-2 cms in length, seem quite oversized for such a tiny plant. Pick them off and have a tangy munch. Interestingly, these seed pods are known for something else. They explode when ripe – again, something you may not think of when you see such a delicate plant. Creeping Woodsorrel is full of surprises! Next Post Bare Earth… No way!